I went to the phone shop today to get ale newer SIM card because it could have been the cause for my reception problems in Switzerland some time ago (so customer service told me). So I told the guy in the shop about this and after taking a short look at my phone he said: “well, I think it might just as well been the phone itself”. I asked “really?” and he said “Well, name me one problem and the Nokia N97 has it, these phones are really problematic.”. Reception problems: Other phones (also other Nokias) have reception while the N97 has lost it. Poor keyboard: Indeed the keyboard took a lot of getting used to. Unusable GPS reception: GPS reception quality was bad enough to be unusable for car navigation (even after the hardware fix). Scratching lens: The lens has tendency to scratch easily because of the lid. Battery life and life span: The battery often dies during one day of use. Also, I am now at my third battery. Slow operating system: The N97 just gets slower and slower over time (unacceptable as I know that OSes exist that in fact get faster the longer you have them turned on). Outlook incompatibility: Some repeating appointments in outlook can simply not be entered in the calendar application. Bad screen connector: After 1.5 years the connector got unreliable. I am now using scotch tape to make sure I cannot open the phone in an attempt to keep it working a bit. Now using google calender to enter most of my appointments. Unusable as a phone: After ending a call, you always lose control over it because the screen goes black and the phone doesn’t respond to anything for at least 10 seconds. So indeed a big list. 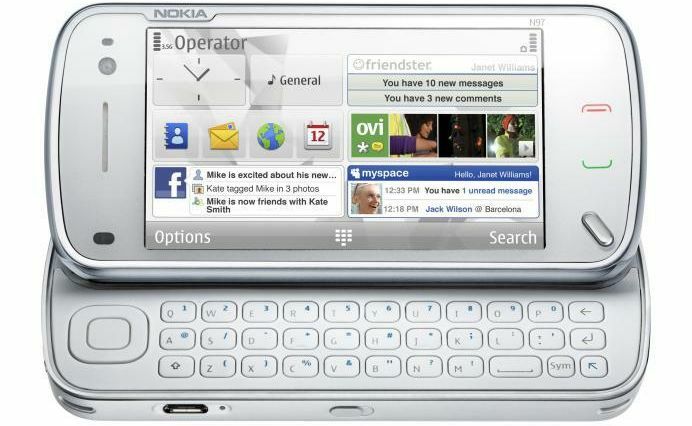 Now what should I do with the my N97 once I get my new phone? Please leave a comment on this post. I will then film the winning suggestion with my new phone and post the result on youtube. This entry was posted in Fun, Misc. Bookmark the permalink. Well spoken. I have to research more on this as it is really vital info. Good work. Regularly I do not make posts on blogs, but I have to mention that this post really acted me to do so. Really fantastic post. Really fantastic and I will be coming back for more information at your site and revisit it! Thank you.